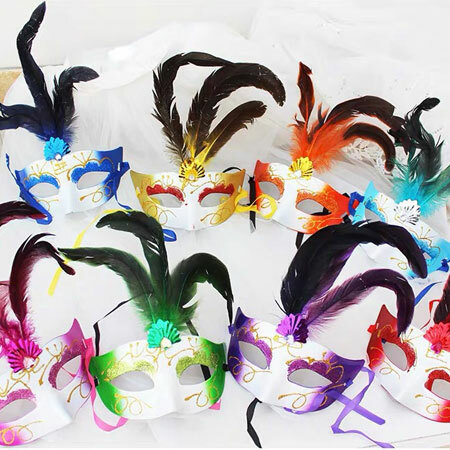 Cheap Fancy Masks for Masquerade ball with feathers at top. 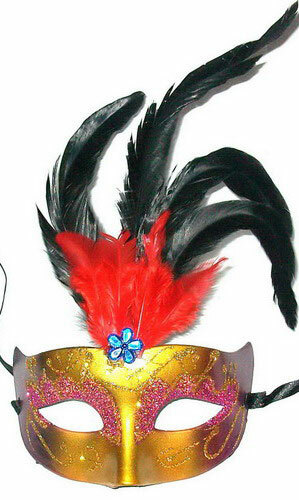 It shines gliteringly with a colored gemstone decorated. 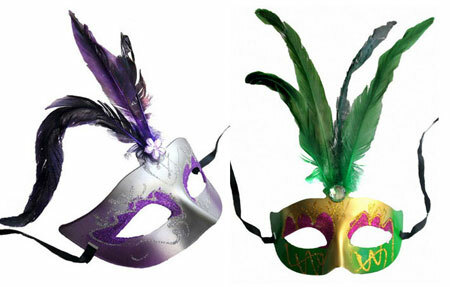 These Mardi Gras Feather Masks are made of high quality plastic and feathers. 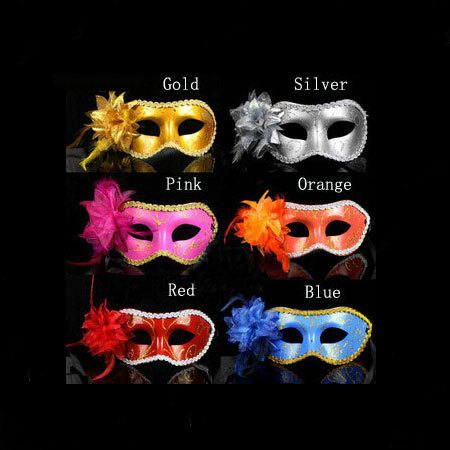 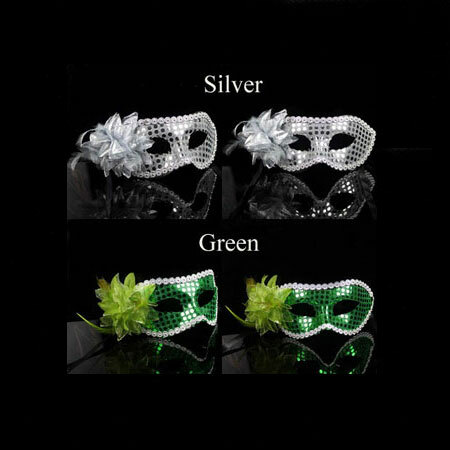 They are elegant and beautiful to make you look fancy in your Mardi Gras masquerade ball. 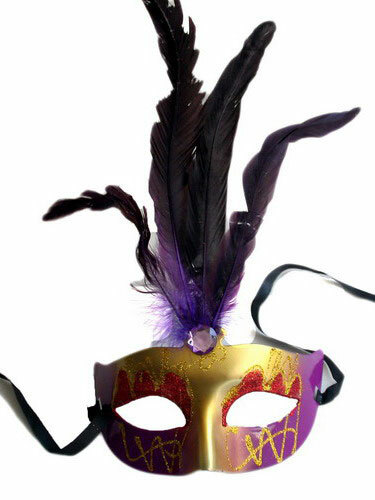 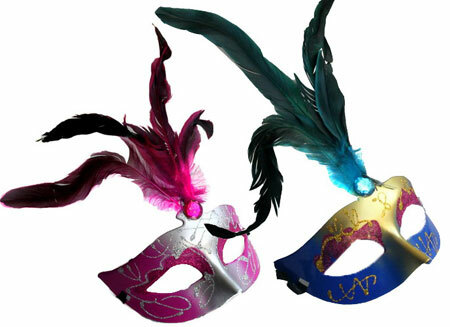 Put on this Fancy masquerade Feather Masks and enjoy Masquerade ball activities. 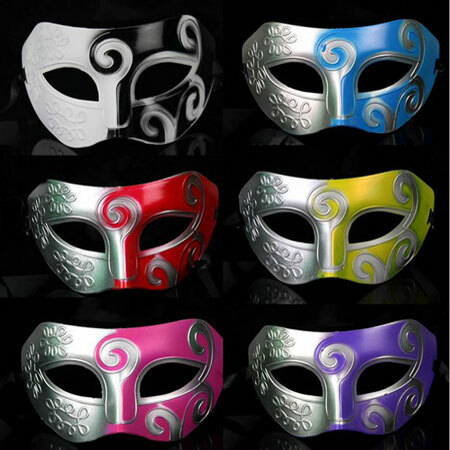 It is suitable for men, women and children. 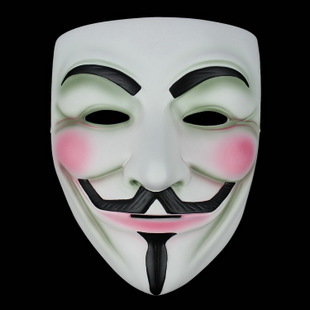 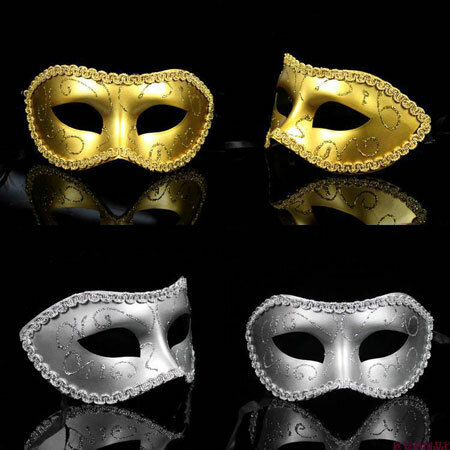 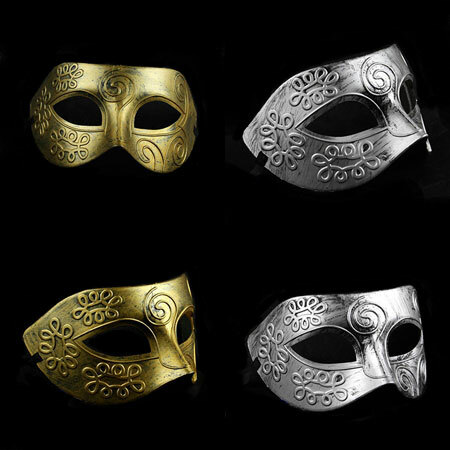 If you would like masquerade masks for men, please visit this Italian Masquerade Masks for Men.